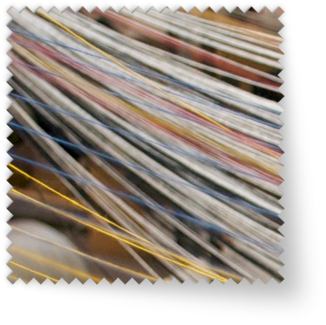 We build woven fabrics. You have likely come in contact with many of our fabrics. Our products have been featured in many church sanctuaries on padded pews & stackable chairs. We have covered the seats & acoustic panels in many auditoriums. Many cruise lines feature our fabrics throughout their ships. We have developed some featured fabrics which often accent casinos on the Las Vegas strip. We build specialty fabrics such as those to meet OEM specifications for classic & antique cars. We have even participated in the cockpit of a Stealth fighter. We love helping you pick out the perfect fabric for your needs. Whether you need a mural prints, tapestry, or pattern print, we would love to help you. We have a huge line of durable, woven fabrics for the health industry, government, military & auditorium seating. Our most popular line is our Duramaxx woven fabric which features an extraordinarily long life for many uses. Give us a call today to find fabrics for your needs.